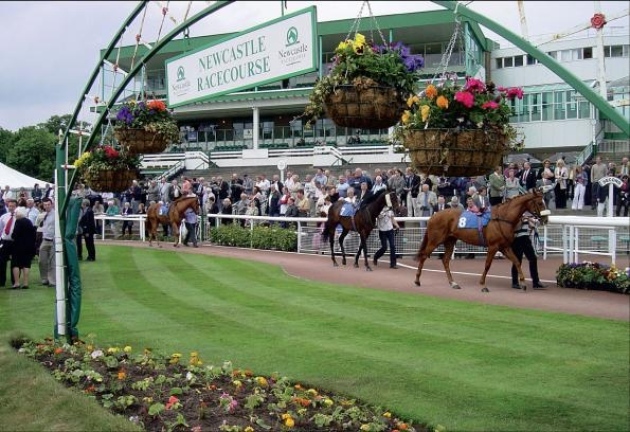 The ROA/Racing Post Owners’ Jackpot Handicap (8.05) at Newcastle on Thursday is a lowly 0-65 handicap that has attracted 14 runners, but only a few in any recognisable form and only a few with any form on the Tapeta surface. In such circumstances, a ‘shock’ result is always a possibility, so we’ve selected a few that we think could go well at rewarding odds. For Shia And Lula is on a losing run of seventeen and his recent form, including on Tapeta at Wolverhampton, is nothing special, but it’s worth noting that his last three wins came in better races than this over 7 furlongs at Wolverhampton off handicap marks of 75, 71 and 69 respectively. He races here off a mark of 61 so, with apprentice Toby Eley taking off a further 7lb, he is undeniably well handicapped if anywhere near his best. Alans Pride is on an even longer losing run, of nineteen, stretching back to his juvenile days, but his two runs on Tapeta at Wolverhampton earlier this season weren’t without promise, so he must have a squeak, especially as the second of his wins as a two-year-old came over 7 furlongs off a handicap mark of 70. Off a handicap mark of 54, he warrants close attention back on Tapeta, for all that his last two starts on turf were less than awe-inspiring. Last, but hopefully not least in this week’s game of ifs, buts and maybes, Just Paul is another professional loser who hasn’t won for twenty-three starts and has never raced on an artificial surface of any kind. On the upside, that does mean that, at least, he’s unexposed on Tapeta and is 21lb lower in the weights than when winning a much better race over 7 furlongs at Musselburgh as a year-old. If a first-time hood rekindles his old enthusiasm, and he takes to the surface, he may exceed expectations.